There is nothing worse for a hotelier than to discover that a room in their establishment has been infected with bedbugs. 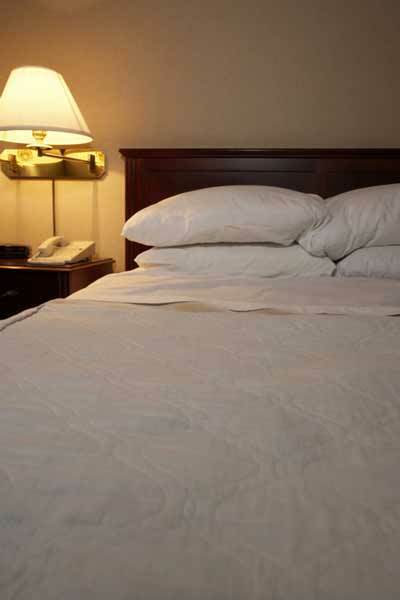 The presence of hotel bedbugs in rooms that you are looking to accommodate paying guests in can be a real headache. Not only do you need to carefully manage the problem and take steps to correct it, you’re also likely to face some tough financial decisions during the treatment period. If the problem is limited to one or two rooms, forward planning and effective strategy to eradicate the bugs will prevent them from spreading; as well as enable you to continue operating while the problem is being resolved. One of the most important steps to take when managing an outbreak of bedbugs in a hotel is to develop an Integrated Pest Management (IPM) plan. Essentially, this is a plan that combines a number of different strategies to eliminate the bugs and prevent them from coming back. One of the main reasons why this is important is that in a hotel bedbugs can spread when the linen is being regularly exchanged and linen from different rooms is placed in the one laundry cart and so on. First and foremost, it is going to be necessary to get an exterminator to carry out a chemical treatment to get rid of these bugs. In nearly every instance of bedbugs, the use of a chemical treatment is the quickest and most effective way to get rid of the pests. With the use of a chemical treatment, the bugs will be eradicated fast. When a hotel is facing loss of income through closed rooms, the faster the problem is resolved the better the outcome. In order to prevent further outbreaks, there are steps to take that are specific to a hotel. Educating staff – Make sure that your staff understand how the bugs spread and help them to take steps during housekeeping and cleaning of rooms to limit the likelihood of spreading the bugs until you are certain that they have all been eliminated. Sealing rooms – While chemical treatment is being carried out, this is likely to be a must. Once it is completed, ensure that housekeeping staff understand that they must not remove items from the room that could lead to the transfer of hotel bedbugs to other rooms. Ensuring rooms are clear before reopening – Bedbugs are an insect that lays eggs and as such, they can continue hatching even after an initial treatment. In order to be certain that you no longer have bedbugs present in a room it is advisable to allow time for the treatment to work on those bugs present and any that may potentially hatch after the treatment. It is important to carry out a comprehensive or ‘deep’ clean of the room and ensure that any eggs have hatched and the bugs are definitely no longer present before reopening. With a proactive approach and a planned extermination process, there is no need for hotel bedbugs to be an insurmountable problem. It is certainly important that this problem is addressed quickly and decisively, but following that, it is possible to reopen rooms quickly to the public and limit any losses from having these pests invade your hotel. Previous post: Can I get bedbugs from ordering used items on Amazon.com?